Aside from the Everest region, Eastern Nepal sees few international visitors. But, the area is home to Mount Kanchenjunga—the third highest mountain in the world—at one extreme, and more gentle rolling tea fields at the other. That is, it’s perfect territory for a range of trekking needs. The infrastructure has been improving in recent years, and with roads being developed all the time, access to trailheads is also changing and, in some cases, becoming easier. Here are 5 amazing routes that you probably hadn’t thought of. 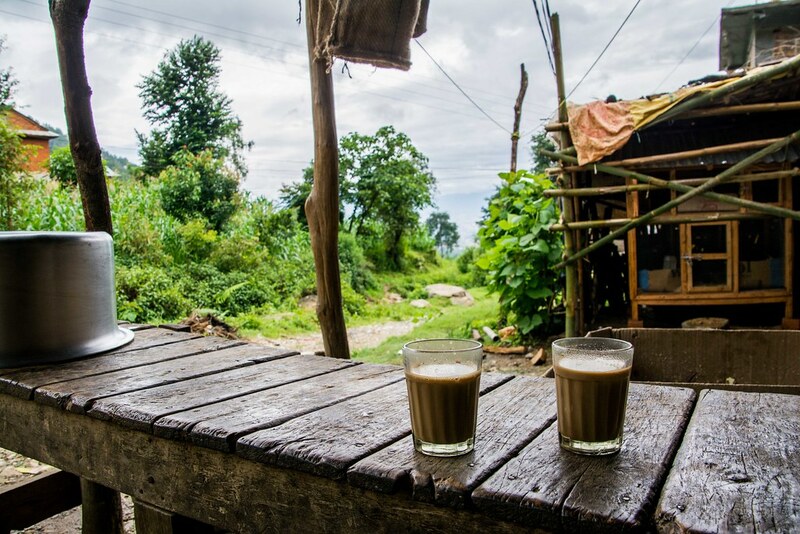 While the Darjeerling area of India is famous for its tea plantations, Ilam just over the border in Nepal also grows tea. The tea-covered hills are surrounded by diverse wildlife and relatively gentle trails. There are homestays in the area, but some of the trails around Ilam could be undertaken as day hikes. Treks of several days in this area can include the viewpoint of the eastern Himalaya from Shree Antu (2,328 metres), Maipokhari Lake, and forests rich with flora (such as Rhododendrons) and fauna (including the rare red panda). Ilam can be reached by bus from Kathmandu, or via a flight to Bhadrapur and then a bus/taxi. For an alternative to the traditional Everest Base Camp trek, a longer route that starts at Tumlingtar and passes through the Arun Valley is an option. It’s much less busy than the EBC trek, but there is still a bit of tourism infrastructure in some places, so trekkers on this route will enjoy both camping and teahouse accommodation. Once the main EBC trail is joined at Lukla, the number of visitors and the quality of the infrastructure improves, so on this trek, you get the best of two worlds. Tumlingtar is a short flight east of Kathmandu. It’s at an altitude of just 422 metres, so there’s a long way to climb on this trek. It starts by passing through farming villages, with views of Chamalang and Makalu up ahead. Sherpa, Rai, Chhetri and Brahmin people inhabit this area, meaning that a lot of cultural encounters can be had with diverse peoples. 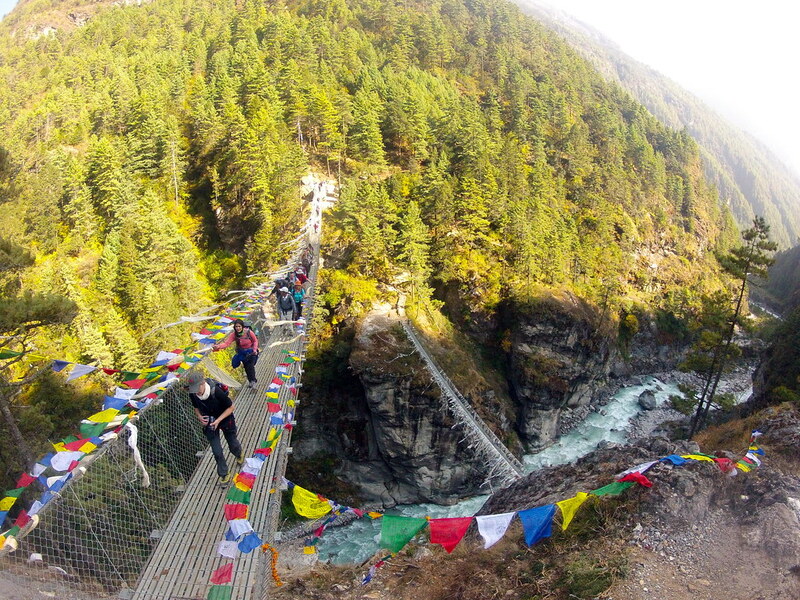 The trail follows the Arun River, part of the Sapta Kosi river system in Nepal that originates in Tibet, and there are some scenic suspension bridge crossings over the river. The first ten days or so are spent trekking up the Arun Valley. After reaching Lukla, it takes about eight more days to reach Everest Base Camp, then another three to return to Lukla. If you’re an experienced trekker with a few Himalayan treks to your name and an interest in mountain climbing, then attempting a trekking peak may be a good option. 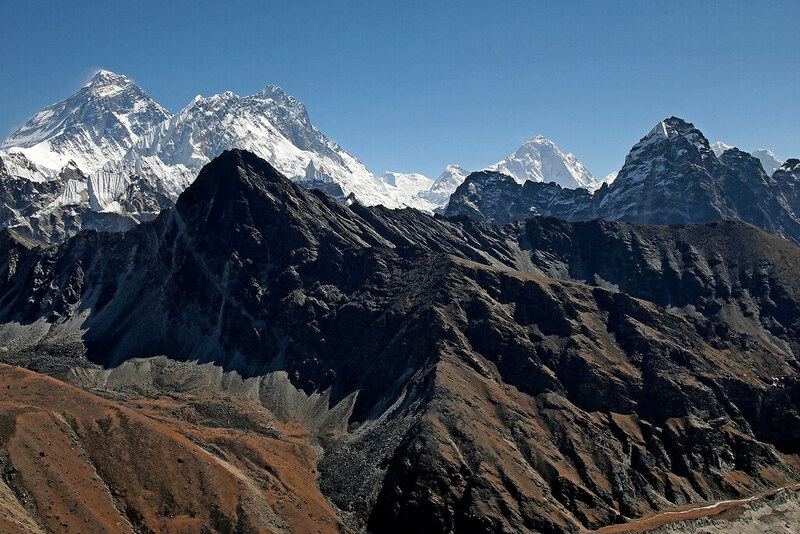 A trekking peak in Nepal is one that does not require a special mountaineering permit. Trekking peaks are much more challenging than ‘ordinary’ treks, and do require thorough preparation and a knowledgeable guide. But, they are less challenging than mountaineering peaks. Mount Mera, at 6,476 metres, is the highest trekking peak in Nepal. From the summit there are views of Everest, Kanchenjunga, Lhotse, Makalu and Cho Oyu and others. But, climbing Mera Peak isn’t just about the ascent. The trek to Mera Base Camp is a special one, up the Hinku Valley that branches off from the main Everest Base Camp trek. Very few people make this trip, so you’ll have the valley, forests and views mostly to yourself. The Makalu trek is considered one of the hardest in Nepal. Either route—to Makalu Base Camp from the south, or from Kanchenjunga via the Lumbha Sambha Pass and onwards to Everest—is very challenging and includes high passes and some mountaineering. However, trekking through the almost uninhabited Makalu-Barun National Park is worth the pain, as it is rich in flora and fauna, and has incredible towering granite cliffs. 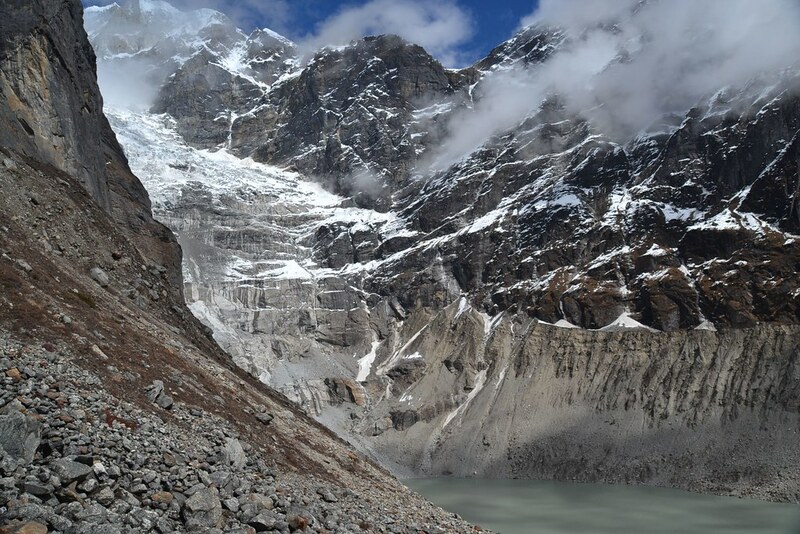 For trekkers seeking a wilderness challenge, trekking to Makalu should be on the list. Kanchenjunga is the third-highest mountain in the world, at 8,586 metres, and sits on the border between Nepal and India’s Sikkim state. There are several options for trekking to and around Kanchenjunga from Nepal, and they’re all challenging and long but worthwhile. Few trekkers come to this region because until recently there were no lodges, meaning it was necessary to camp the entire way. Lodges and food are still very simple, but there are more options these days. 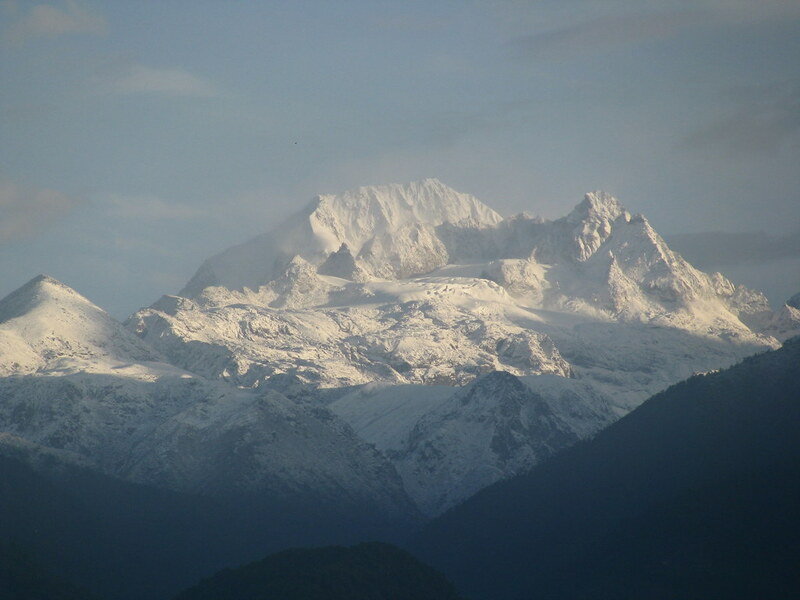 The most popular route to Kanchenjunga takes 24 days and visits both the North and South Base Camps. The trek to the North Base Camp alone takes around 20 days, or the South Base Camp alone 17 days. Shorter versions can also be trekked. The attraction of trekking to Kanchenjunga—apart from the mountain herself—is the interactions you’ll have with ordinary rural Nepali people who live far off the main tourist circuit. Discover our hand-crafted trekking trips to Nepal and other Nepalese adventures.